With a deep, abiding love for sports, Huyghue chronicles his journey from childhood athletics to one of the highest-ranking black executives in the NFL. Huyghue reveals a bird's eye view of the inner workings of the exclusive inner sanctum of the NFL owners, players and management. The author's journey as an athlete and lawyer provides a behind-the-scenes glimpse of what goes on behind closed doors in the world of professional sports and collegiate athletic programs. His story as a pioneer and a change agent is one of hope, triumph, setback and sheer perseverance that will resonate with any sports fan. 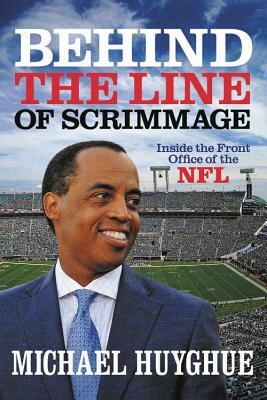 It is a blueprint-marked by wry humor and without bitterness--to successfully navigate the journey that remains for minorities to succeed as front office executives in the multibillion-dollar sports industry. It is also a not often told chronicle of growing up black and male in white suburban America. MICHAEL HUYGHUE gained widespread prominence as the youngest and one of the first black general managers in professional football. He held a top leadership role in operations for the NFL owners and served as senior vice president for football operations of the start up NFL team Jacksonville Jaguars. (During the team's first five seasons he lead the club to more wins than any new franchise in the history of the NFL, including a remarkable two AFC Championship game appearances.) Huyghue's career also included stops at the Detroit Lions, the NFL Management Council and the NFL Players Association.